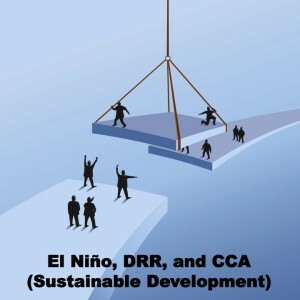 Using El Niño as a bridge between DRR and CCA allows for a partnership between the two, not a horse and rider relationship, but one that is based on a co-joining of forces to combat the negative effects of El Niño-related hazard events. Adapting to a changing climate within the context of Disaster Risk Reduction has many advantages to creating a proactive approach to reducing societal impacts and securing livelihoods. 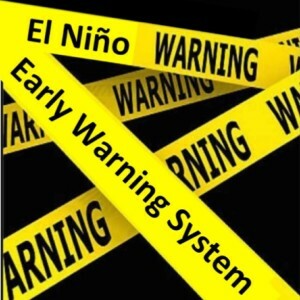 Early Warnings Systems (EWSs) are really the back bone of disaster mitigation. 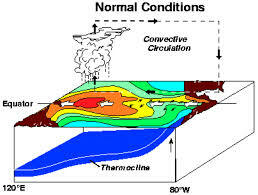 To be able to effectively navigate a natural hazard, nations must rely on EWSs to accurately disseminate warnings to localities in preparation for adverse effects. If this part of the EWS chain is broken, there will be little time to secure lives and livelihoods when a hydromet disaster occurs.